Are you a golfer looking to go away for weekend golf break? Need some practical advice about how to plan the perfect DIY golf break? Well you have come to the right place. What Do You Need To Consider For Your Weekend Golf Break? The number of players you are going to be. Budget (per person or per group). Need for hire cars/mini bus and petrol. Area you would like to visit. The courses you want to play. 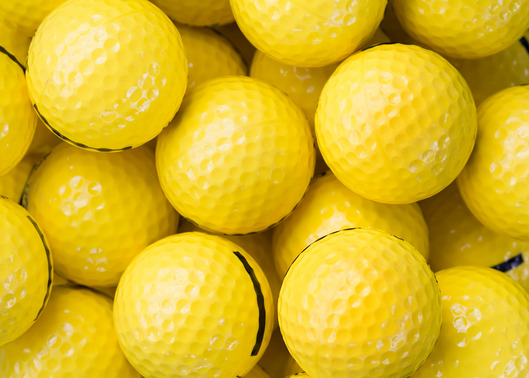 The number of holes you plan to play each day. The tee times you would like. B & B or Hotel and the location. This is important as it affects the whole planning of your DIY golf break. Making sure you get the numbers finalized before you move onto the next step is vital. The budget needs to include everything; accommodation, petrol, car hire (if required), green fees, food, drink and an emergency fund, just in case something unexpected happens. It is also worth noting that some players in the group may not be able to afford the same luxuries as others, so try to be fair when deciding the budget. Do You Need To Hire A Mini Bus Or Car? If you are a large group you may find it easier and more cost effective to hire a mini bus and have a designated driver. Check first that someone in the group is willing to be a designated driver before going down this route. For a particular large group hiring a coach for the weekend may be a good idea. How far are you going to be travelling will directly impact the budget, so budget for everything. Get together with the group and make a decision of the area you would like to visit, deciding on an area will determine the courses in which you will contact/play. The Courses That You Want to Play. This may seem obvious but planning the courses you want to play in advance could help with the costs of the trip. A tee time booked well in advance may be cheaper. How Many Holes Do You Want To Play A Day? Many courses/resorts have more than one course and offer deals if you decide to play 36 holes. (18 holes on each course). Often the course will include a lunch in the price, giving you the flexibility and choice of what and where you eat. If you are going to play 36 holes, will everybody in the group be able to manage 2 rounds. Would they need to hire a buggy for the second or both rounds? (Again this would need to be included in the budget). The Tee Times You Would Like? If you want to play 36 holes you will nee to have an early start, and take into account both the sunrise and sunset for each day. Again many courses offer cheaper green fees at the beginning and end of each day, so have a look at the possibility of teeing off early or late to save a few quid. When booking your accommodation try to find a hotel or B&B within budget that is centrally located in relation to the courses you want to play. Find out the check in and check out times of the establishment to make sure that you can leave/arrive at a time that is dictated by your tee time reservations. 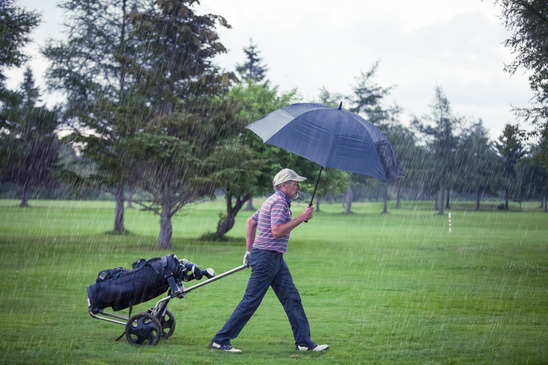 Make sure you take your wet weather gear and a change of clothes for the evening, there is nothing worse than having to dry your trousers under the hand dryer in the club changing rooms just so that you can go out for a few beers after the round. Remember you do not have to carry the extra clothes on the golf course so there is no excuse not to take an extra set. Categories: Advice, Courses, Design, Weekend. Tags: DIY Golf Break, Budget, Hotel, Course.